This entry was posted in Uncategorized and tagged moon salutations. Bookmark the permalink. 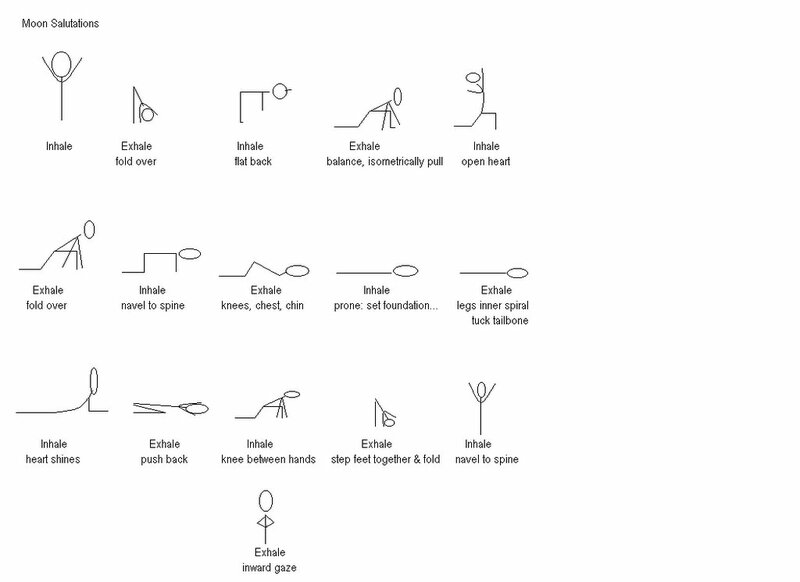 Pingback: Yoga Every Day! « yoga life: love, truth, beauty. here. now. Love the pic! but the words are a bit too small to read… could you enlarge the font?? thx! glad you like it! all you have to do is click on it, it should fill the whole screen! haha! silly me… didn’t click on the image.. .now it’s much better… thx!!! just glad to know you’re here! love your website, too, I’ll have to go back & see what you decided…. 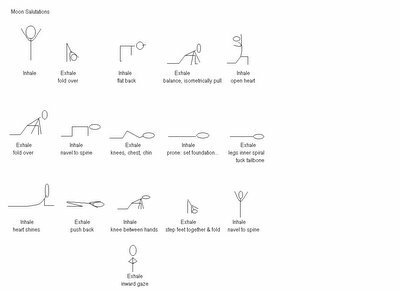 I like the chart, though I’ve only ever heard of sun salutations. Though, I’m more of an aikidoka at this stage in life so that doesn’t mean to much. Pingback: Restful Yoga | Yoga IS Love, Truth, Beauty: Here, Now.